Aiming to eat more veggies? 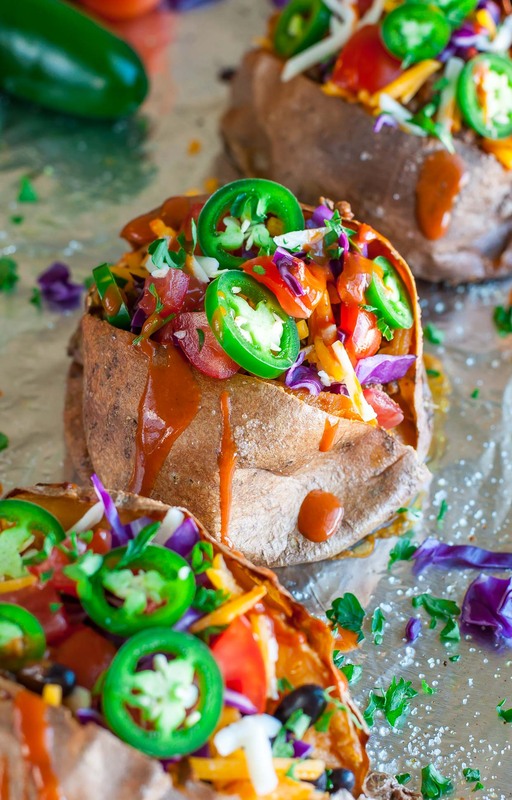 Load up on the good stuff by topping baked sweet potatoes with all your favorite taco ingredients. Bonus points for sneaking veggies into the taco filling too! 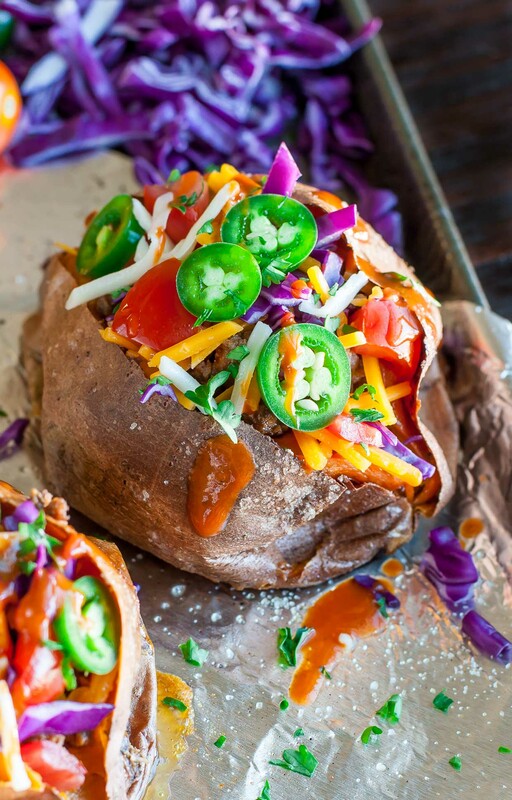 These Taco Stuffed Sweet Potatoes are naturally gluten free and easily made vegan, vegetarian, or paleo — enjoy! Would you believe I used to loathe sweet potatoes? Crazy right? I wouldn’t get near them as a kid and ran screaming at the mere sight of them as an adult. Then I started blogging. I made a point to try and re-try all the foods I despised and wound up adoring most of them! Beets, brussels sprouts, pumpkin, and sweet potatoes all made the cut once I found my favorite way to enjoy them. In fact, finding the right dish was key! Pumpkin for instance, I’ve found I prefer in savory dishes mostly but will straight up devour them in muffin form as long as a hefty dose of cinnamon is present. Just dear god don’t offer me a slice of pumpkin pie, I’ll hide under the table with the dog. Beets? I love them best in salads, on pizza, and smoothies. But sweet potatoes, those I love every which way! Well, maybe not smothered in marshmallows and brown sugar (I think I’d prefer a cookie!) but any other way I could possibly eat them, I’m so game. I wound up loving savory sweet potatoes the absolute most, putting them in to pretty heavy rotation when Paul was off on a deployment or whenever I was doing the whole solo dinner thing. It kind of became a running joke on Instagram because I made so many. Seriously it was borderline crazy how often I was making them. I’m surprised I didn’t turn orange! Stuffed sweet potatoes were my signature dish for a quite awhile, I had them as often as most people would have a side salad or sandwich! All sweet potatoes, all the time! I loved loading them up with leftover veggie chili, shredded salsa chicken, and even crumbled veggie burgers! My go-to, however, was taco stuffed sweet potatoes. Anything Mexican instantly has my heart, and the fact that I could load these up with leftovers from taco night? Hello amazing! Feel free to whip these up any which way you desire, by the way. It’s more of a meal idea than a strict recipe and can be tweaked to fit any dietary guidelines. From vegetarian to vegan to t-rex and, of course, they’re gloriously gluten-free! Ready to stuff some veggies into veggies?! 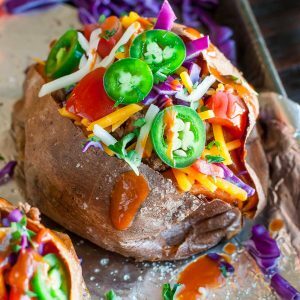 These Taco Stuffed Sweet Potatoes are naturally gluten free and easily made vegan, vegetarian, or paleo. ground beef chicken, or turkey seasoned your favorite way and browned in a skillet! TASTY TOPPINGS - Choose your favorites! Pierce your potatoes a few times with a fork and place on a foil lined baking sheet. For extra crispy skins, rub with oil and sprinkle with kosher salt. Bake 45-60 minutes until tender. Choose your protein option(s) from the above list and cook via preferred method or dive into your fridge for last night's leftovers and get ready to make magic! Fill with your choice of taco filling of choice (see above for tasty options; I went with black beans and leftover taco meat this time around) and top with cheese. For melty cheese, pop the potatoes back in the oven for 5-10 minutes, then pile mile-high with all your favorite taco toppings! Anything goes on taco night! SPEEDY SHORTCUT: Short on time? Skip baking in favor of microwaving. Pierce with a fork and cook on high for 7-8 minutes. Depending on size, yours may be done quicker or require an extra minute or two. Top with filling of choice from the list above and add cheese. Microwave for an additional 30-60 seconds and pile high with taco toppings! 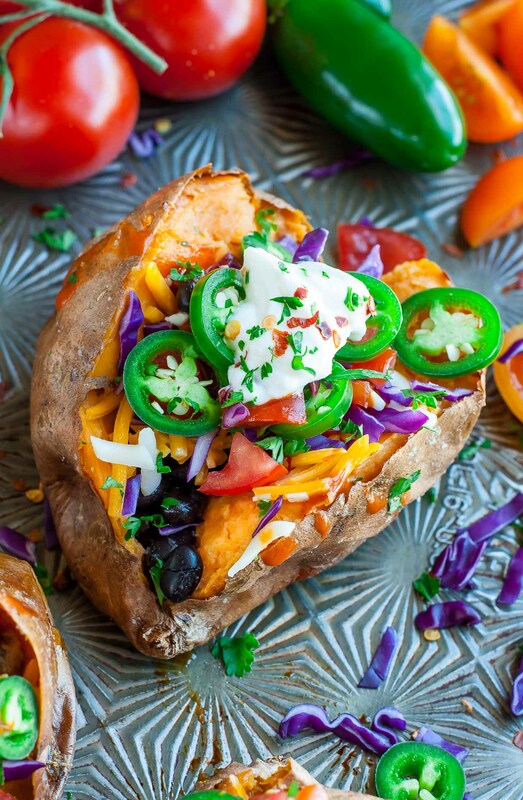 ON THE GO TIPS: These savory sweet potatoes make a great lunch for work or school! These are so mouthwatering as I look at them on your site! We’re having company tomorrow and these WILL be making an appearance. So many good things in these healthy bites! So excited to hear it Michele, thank you so much! Yeah, I love your fabulous topping WAY more than anything with marshmallows! I’d make extras and save the leftovers for lunch!!! I literally just bought a bag of sweet potatoes at Costco… and now I know exactly what to make with them!! These look amazing, your photos are always SO gorgeous! Seriously LOVE this idea! 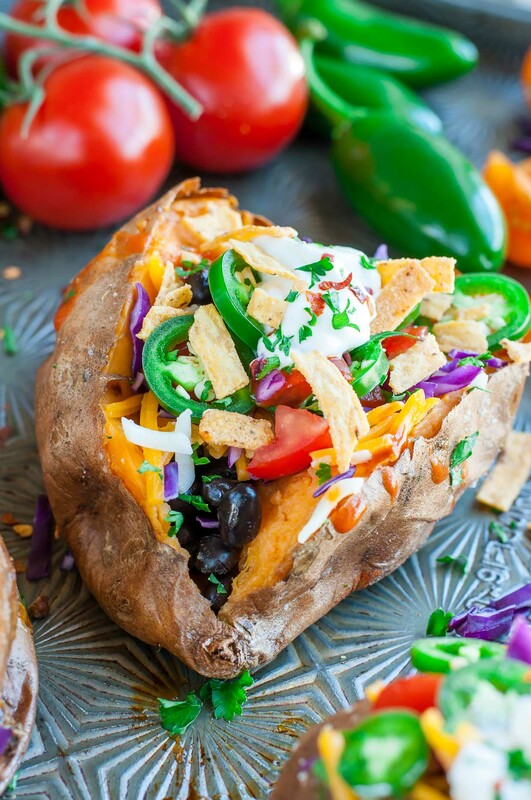 Sweet potatoes and tacos… my favorites! I love the both of these and i think they would be absolutely amazing if they were combined. It certainly looks tasty! Thanks Leslie! 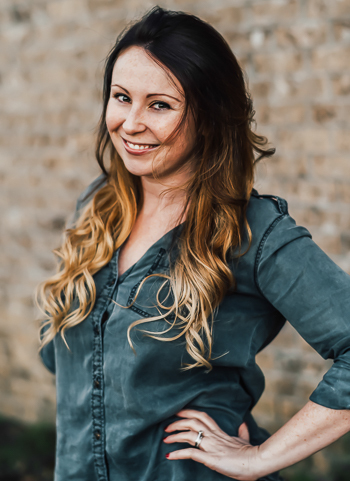 I hope you get a chance to try it soon – I’m so head over heels for the combo! These are BEAUTIFUL! I love the idea of prepping these for school lunches. Oooh and that jalapeño kick…I’m sold.